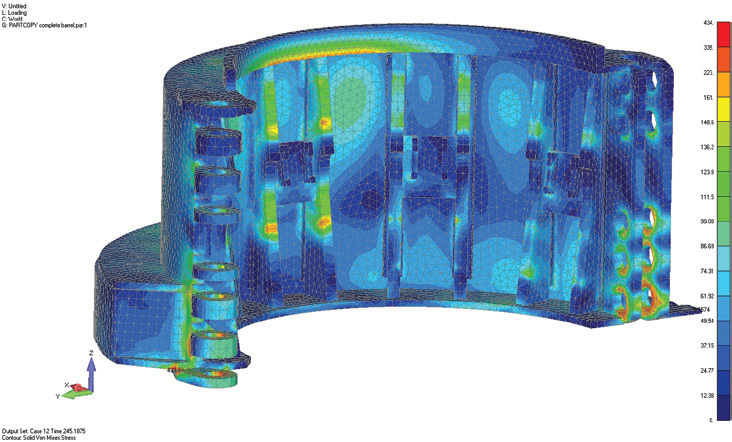 IHC Handling Systems uses Femap from Siemens PLM Software to eliminate time-consuming geometry corrections, increase productivity through re-use of proven designs. The results include shorter product time-to-market, higher quality and reduced costs. In the offshore industry, operational certainty is one of the most important requirements. The installations are large and the investments are high. Virtually everything is unique and leaves little room for error. As a supplier of tools for the installation of offshore equipment, IHC Handling Systems v.o.f. (IHC Handling Systems) is very familiar with the market. Functionality and quality must be validated prior to production. Virtual prototypes are the only way to ensure this. IHC Handling Systems is part of IHC Merwede, a world leader in the dredging and offshore industry. IHC Merwede’s products include dredging vessels, equipment and components, as well special-purpose vessels and technology. IHC Handling Systems focuses on products for oil, gas and wind, such as equipment for pipe laying, equipment for the installation of oil and gas rigs and equipment for the installation of offshore wind mills.